We’re excited to launch our new scheme Family Friendly Wakefield in early 2018. We truly believe that Wakefield is a wonderful place to bring up a family or even visit with children. There are a lot of businesses (find them here) that we think need to shout from the rooftops about how brilliant they are with families. 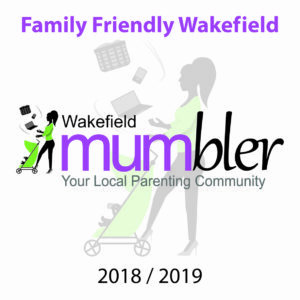 Family Friendly Wakefield aims to celebrate businesses in the Wakefield District that go out of their way to make families welcome and provide an excellent experience for their family customers. Click here to view our most recent list of Family Friendly Businesses. It could be a cafe, car garage, shop, soft-play pretty much any business that provides products or services to local families. the business can be online only (as long as it is a local business)or have local premises. How do I get Family Friendly status for my business? Depending on your nature of business there are certain criteria that are essential (basic requirements) to be awarded Family Friendly Wakefield status, and other criteria that are desirable (you should consider these characteristics the gold standard and something to strive for). You can find specific criteria for different types of business here. With so many options available to us for almost anything we need, time-poor families turn to recommendations to help inform their decisions. We want help make that process easier for families by listening to them about where they recommend and provided the business meets at least the essential criteria they will receive one of our lovely window stickers and digital images to use in their marketing. At least two Wakefield Mumblers (members of our Facebook Chat group, or users of our website) must recommend the business before the criteria are checked. Recommendations can be made by completing this form only.